Posted by Jon in NECA with 0 comments. The sixth and final Toys “R” Us NECA Fall exclusive has been revealed, and it is sure to get you into the Christmas spirit! Thankfully the fellows over at NECA have not forgotten about their dedicated Gremlins fans. 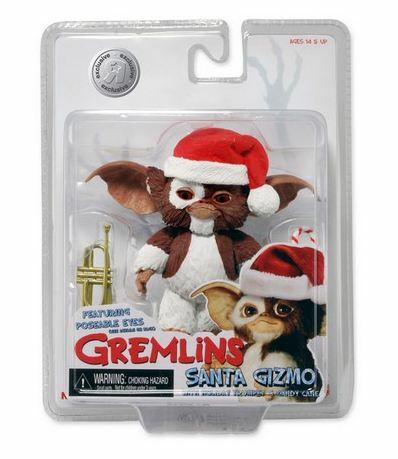 Therefor the final exclusive will be Santa Gizmo! Gizmo will be in scale with the other Mogwais and will feature the movable eyes feature they have implemented in the latest releases. 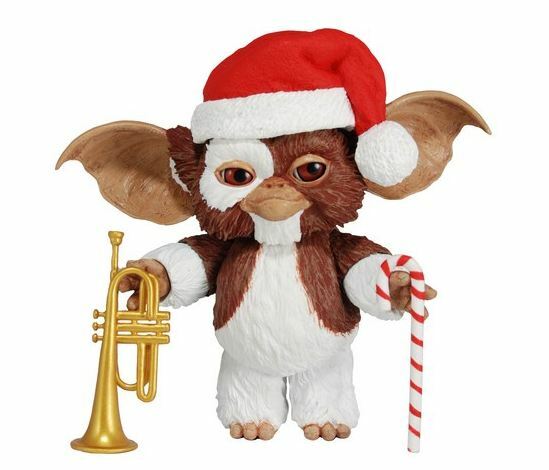 It will have a brand new head sculpt with a Santa hat and various Christmas accessories including a trumpet and candy cane. The head sculpt is based off of the original movie. NECA fans will be doing a lot of footwork through Toys “R” Us this fall as there are a total of six exclusives that should be showing up in the coming weeks. The properties included are Gremlins, Prometheus, Rocky, Predator, Assassin’s Creed, and Gears of War. We covered the first five in this post, in case you needed to do a little more research.